Are you looking for something to add a little spice to your already blooming garden? Why not make that beautiful garden into a backyard oasis? Add a simple, yet elegant water garden to create an exotic feel and make your friends and neighbors envy you. A water garden isn’t that hard to set up as long as you follow some simple steps. 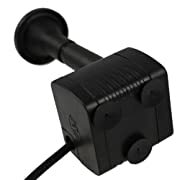 The first thing you’ll need to do is figure out where to place the water garden. The best placement should be close to your home, so it can be easily viewed, but not too close to trees or anything that would cause too much debris to fall into the pond. A pond would look nice framed with trees, but you would constantly be cleaning it out from fallen leaves and dirt, so try to keep it at a fair distance away from any trees on your property. Once you’ve decided how big the water garden will be and what shape it will be, you should then start digging to the proper level based on the size of the water garden. Place your pond underlayment that you’ve cut to the right shape. The thick pond liner will go on top of the underlayment. Make sure everything fits snuggly. Then install all of the components to the waterfall feature following the directions of the kit. All the hardware and the excess pond underlayment will then need to be hidden, so place the pebbles and stones around the water garden so the equipment isn’t seen. You can now fill the pond with water and add any nutrients or substance to take care of any chlorine in the water. Make sure all of the components work. By now, the water should be recycling around and streaming down your waterfall feature. When you’re sure everything is working properly, its then time to add the aquatic plants. Make sure you add the anarcharis water plants because they’ll take care of any nutrients that would otherwise keep algae thriving. 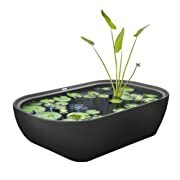 Water lilies are a popular aquatic plant to use because they help give the illusion of a natural made pond. Your water pond is ready for your enjoyment. 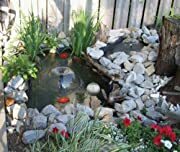 If you want to create a real oasis for your water garden, consider adding some goldfish to the pond. Add only a few at a time to ensure their survival. 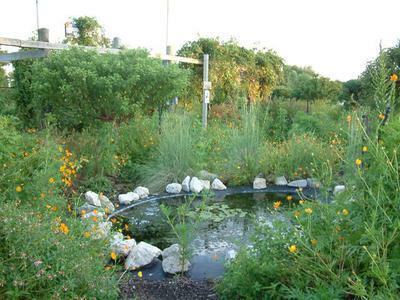 Add a few plants near the edge of the pond to help it blend in with the rest of your backyard oasis. Once it’s all in place, you’ll need to take care of it to keep it going for many years to come. 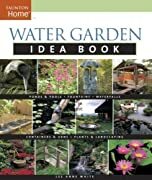 There are many guides and books to browse through that will go into detail on the best ways to set up your own water garden. They show how to get the different sizes and shapes of ponds to allow for the water to properly flow. Check them out and plan for your own water garden to spice up your backyard oasis today.